One of the reasons Mike wanted me to retire was the fact that he wanted me to travel with him on business trips. Mike is a software architect and in the geek world he is known on the speaking circuit. When I was working and he had to be out of town not only did we hate to be apart but a 3 day trip really is 7 days without seeing each other because I was working nights. So one of the first chores on my retirement list was to get business casual clothes for myself and to find really good travel gear that could stay packed and ready to go on short notice. I also bought new luggage for us since it the last time we bought luggage was about 15 years ago and airlines no longer like 33 inch cases. Now that I look presentable (no scrubs) it was time to get organized. Not only am I traveling with Mike but I am now traveling with CTMH to conventions and regional events. 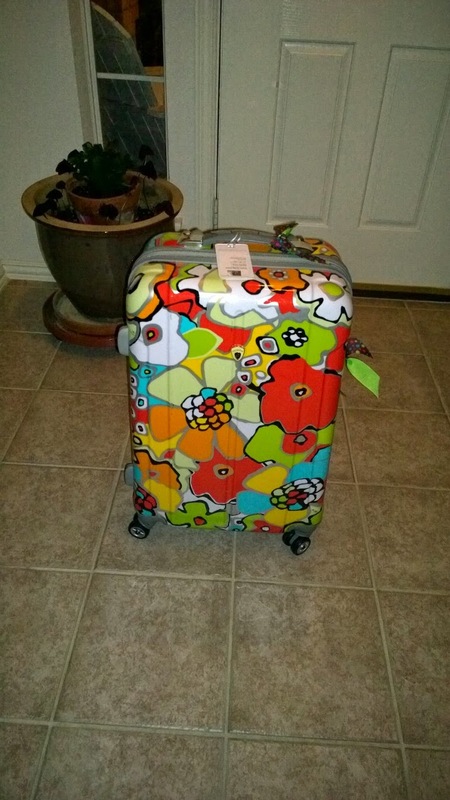 After the Boise trip last year I decided that I needed a little bigger than carry on when I travel for scrapbooking events because while I can get my clothes in carry on luggage - security frowns on scrapbooking supplies. On the bright side: checking my luggage on these events is once less thing for me to drag around the airport when I am alone (ie: no helper). So after the Boise trip I bought this piece of luggage. I love that it is hard sided to add extra protection for my scrapbooking supplies. I put my clothes on one side and supplies on the other side. Perfect! It is also a wild pattern so I can find it in baggage claim with no problems. It is just a little bit taller than my carry on luggage so it is not too big for me to handle on my own. I was also searching Pinterest looking for the best ways to pack the carry on bag. 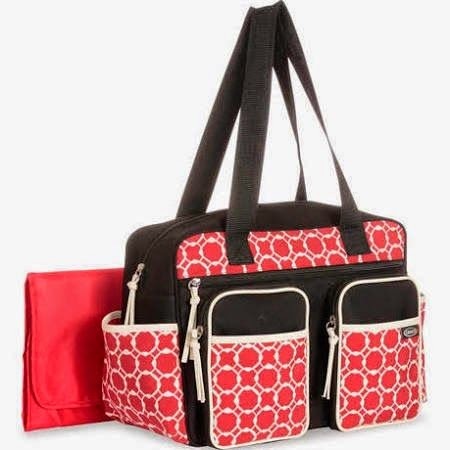 I found a cute red and black diaper bag that was working ok but I wanted one that was a convertible carry on with backpack straps. 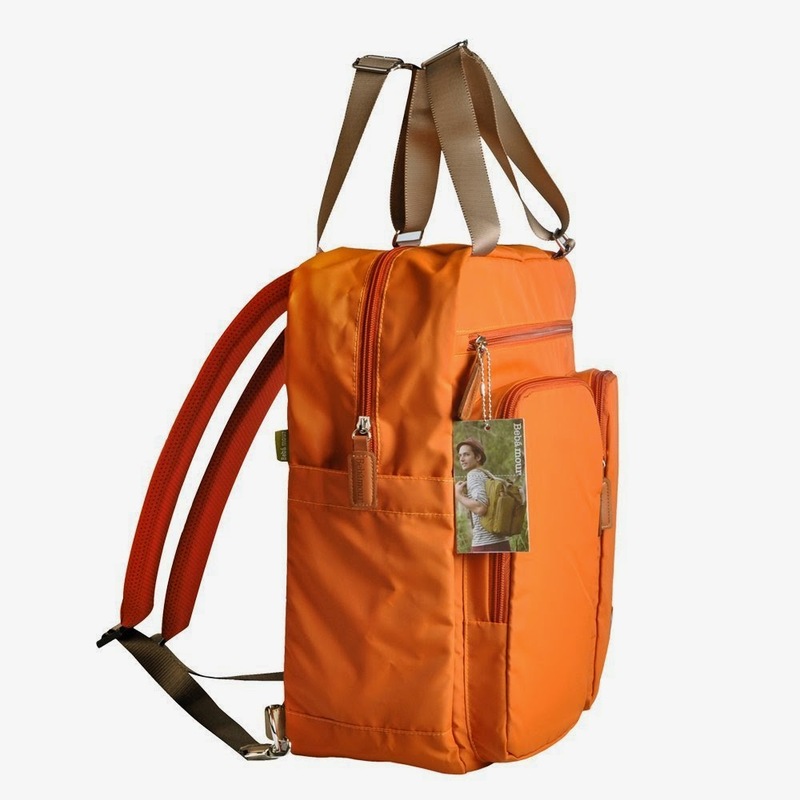 It is a little taller than the red / black diaper bag so I have to slide it sideways under the seat but I love the bright color and backpack straps. The even weight distribution makes walking and or running in the airport much easier for me. Because it is also a diaper bag it has all kinds of pockets on the inside for the little things you will need on the plane. I have a pocket for my first aid stuff (when you walk like a duck - you fall you need a small kit.) I can get all of my power supplies in one section, camera, laptop (for blogging on the road) In the front pockets I have quick access items and my favorite is a secure section on the inside for wallets and cell phones. It even has side pockets for my water bottle. Am I a travel nerd? Yes - but this bag can stay packed with the core items at all time for quick grab and go travel. I have had to grab and go too many times to count over the years so having core items that are duplicate and stay in the travel bag are a must. This travel med kit is so handy. 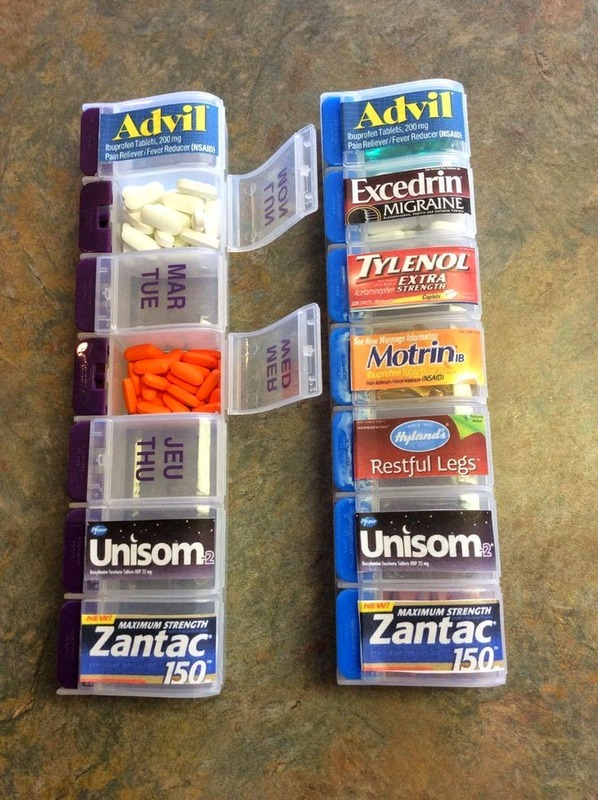 Fill each section with meds that fit your family needs and go. There is nothing worse than being away from home or at 30,000 feet and you do not have what you need when you feel bad. I also keep my "make up" bag stocked and ready to go at all times. When I get home I re-stock it before I can forget what I used and put it away. I love that during the packing process I do not have to worry about packing bathroom supplies at the last minute or risk forgetting something. A small investment in a few duplicate bathroom items means that I can leave it all in the bag together. I never have to take it out when I use carry on luggage because there are no liquids to declare. For short trips hotel shampoo works fine and it beats having to drag everything out during the security check. One of the best tips I received for travel was to drink tons of water. You can not take a full water bottle through security and buying water after security is very expensive but I found a way around that. Take take it empty through security and fill it up at a water fountain once you are past TSA. 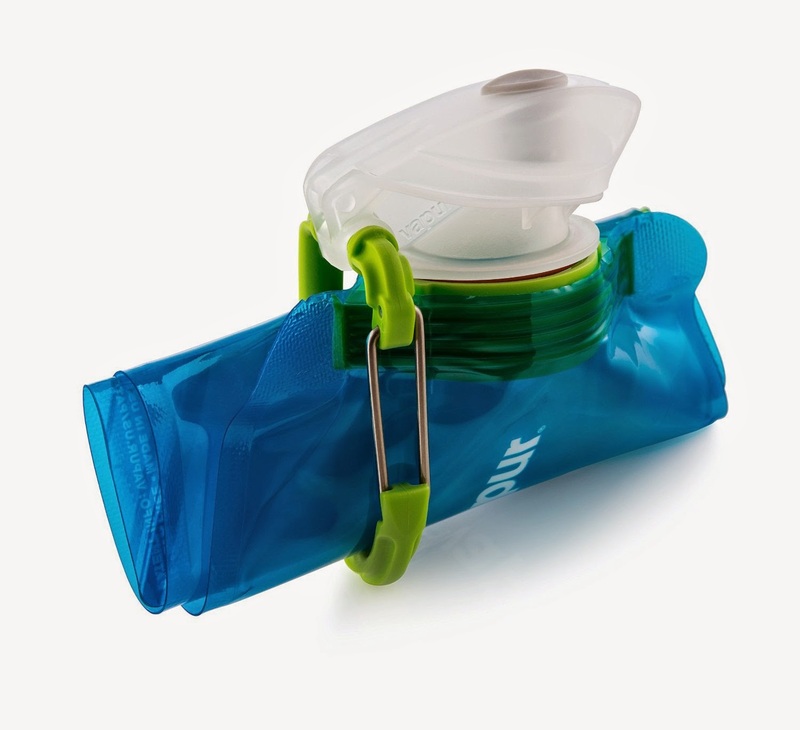 I have also found that for me, if I drink more water on the trip I am less prone to headaches. Sure, I run to the ladies room a little more often but that is better than the headache. If you are interested in the no liquids in your carry on just do a Pinterest search, there are so many great ideas that work. Great tips. 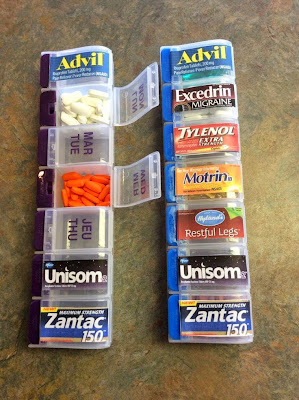 I do the pill container thing, but didn't think about labeling them. Great idea. I love the med case idea! I hate fumbling with those hard to open tubes and bottles when I am ready to take my Dramamine etc. I will definitely be packing one of these to take to convention. Great tips!